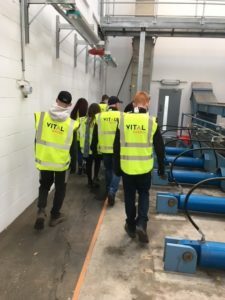 Pupils from Dundee’s Rockwell Learning Centre recently linked up with sustainable energy solutions company Vital Energi, where they visited Vital Energi’s Biomass Energy Centre in Guardbridge, Fife. This educational site visit was facilitated through Marketplace, a new online platform which provides an opportunity for employers and education to link more easily together. Employers can register and post ‘offers’ to schools such as site visits to their workplace, staff coming out to schools to deliver class talks, practical sessions on CV writing and Interview Preparation, and a whole host of other ‘offers’ that a business may want to post that is relevant and of interest to them as business. Schools can then log in to Marketplace and book these offers on a first come first served basis, making the process simple and easy to use. 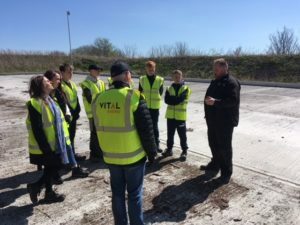 The Rockwell and Vital Energi site visit was our DYW Dundee and Angus Team’s first booking on Marketplace before the summer holidays, which we were very excited about! 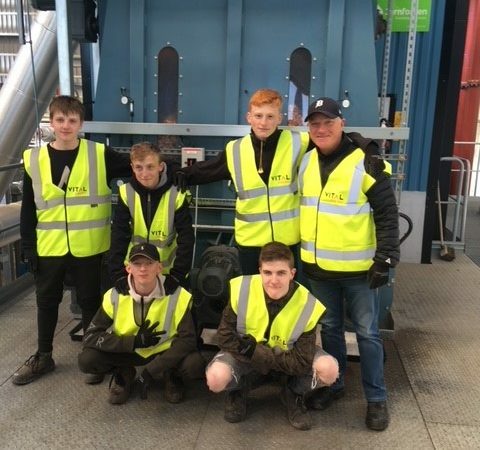 After booking this visit through Marketplace, 6 pupils accompanied by Rockwell Teachers travelled to the Vital Energi Biomass Energy Centre in Guardbridge, near St Andrews. This £25 million Biomass Energy Centre & District Heating Network for the University of St Andrews was created in partnership between Vital Energi and the University. The vision of the University was to create a campus-wide low carbon energy system, by refurbishing an Old paper mill building, transforming it into a state of the art Biomass based Energy Centre. The energy system feeds remote University Buildings more than 6km away through a highly thermally efficient 23km underground district heating network. The project will bring significant environmental benefits which will see carbon emissions reduced by over 6,000 tonnes per year. 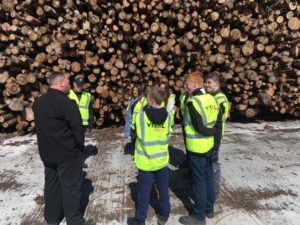 The pupils were given a full site tour of the Biomass plant, including the chipping yard and the internals of the Energy Centre by Scott Harding, one of Vital Energi’s Operation & Maintenance Engineers. Scott explained the day-to-day operations of the plant, what each piece of equipment is, how it works and how the whole Energy Centre functions to generate heat and hot water for the University. The pupils were really interested throughout the whole tour and asked some excellent questions, which was great! This feedback proves how important industry visits like this are for young people. Not only do they learn about career opportunities in new sectors, they also benefit from speaking to and listening to experienced professionals outside of their normal school environment which challenges them and positively pushes them outside their comfort zone. Ross Paterson, Employer Liaison Advisor from Dundee & Angus Developing the Young Workforce team believes that this type of opportunity for pupils to experience industry first-hand is invaluable. “Our DYW Team was delighted to work with Vital Energi to help facilitate this industry insight for pupils.” Vital Energi staff have been excellent throughout the entire process and by offering this fascinating insight into the Renewable Energy sector, they have given the pupils an appreciation and understanding of a sector they previously knew nothing about, which can only help to widen their horizons for their own careers.